Re-discover photos from your emails. 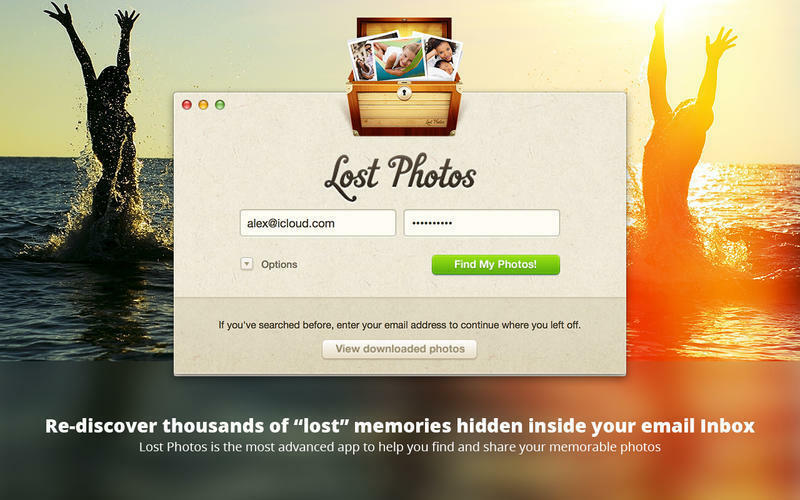 Is there a better alternative to Lost Photos? Is Lost Photos really the best app in Backup category? Will Lost Photos work good on macOS 10.13.4? 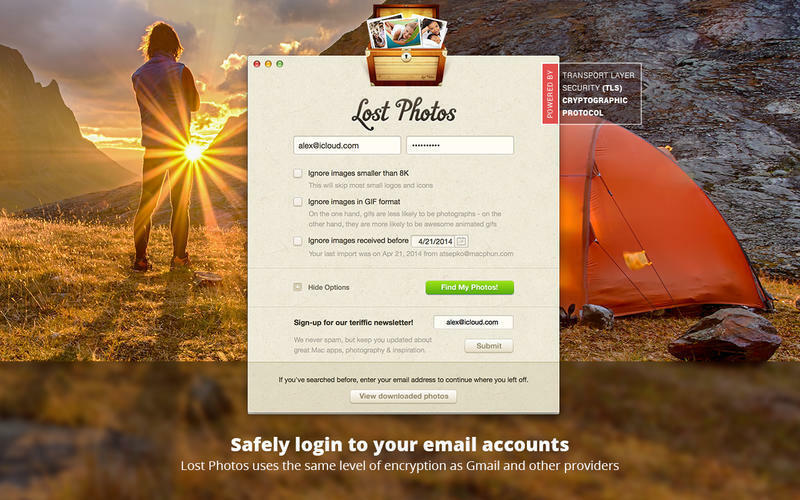 Lost Photos discovers all the photos you’ve ever sent or received stored in your email account (see list below to make sure it works with your email account). 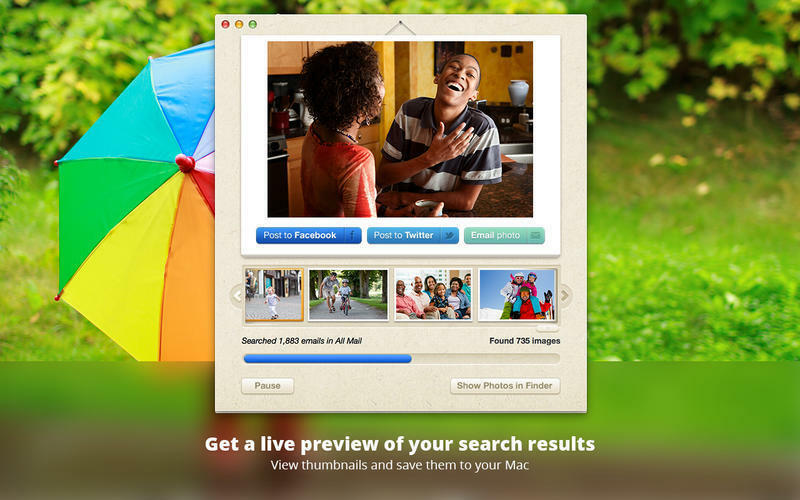 Explore and easily share them to Facebook, Twitter, iPhoto, and email. We bet you’ve got a ton of amazing stuff in there! Lost Photos needs a rating. Be the first to rate this app and get the discussion started! In the past, you would lose old photos in attics and closets-- now we’re losing them in a modern equivalent, our email. If you think about it, the photos that you’ve emailed to friends and family are often the ones you care the most out. You probably have years of emailed photos - to you or from you - lost deep in your email inbox and archives. Have hope! Lost Photos will find them. Lost Photos is free to download and find first 100 photos; unlimited photos and all email accounts requires an in-app purchase.